SynergyMail is being used for clients large and small, sending multiple campaigns each week or just one a month - the fit is just perfect. Take a look at some feedback from our Customers. The success of The Bride's Diary email newsletter has been nothing short of phenomenal. 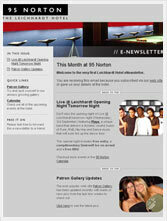 The newsletter launched in October 2003 without a single subscriber. 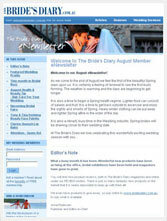 Within six months, subscription is growing at over 500 new customers each month. The Leichhardt Hotel realised the benefits of an email newsletter quicker than most when a customer booked a function room within 3 minutes of sending their first issue.